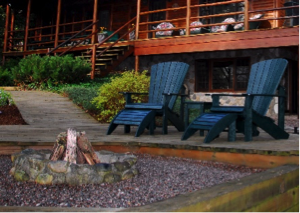 Yes, we love to talk about our log homes and show off the old-school massive stone fireplaces that set the stage of our Great Rooms, or photograph the sleek linear designs of our Contemporary Mountain Home fireplaces; functional art at its best. 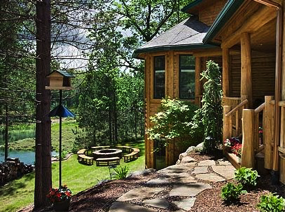 But, many of our log home, timber home, natural wood home, White Cedar lovin’ clients are simply not the indoor type. 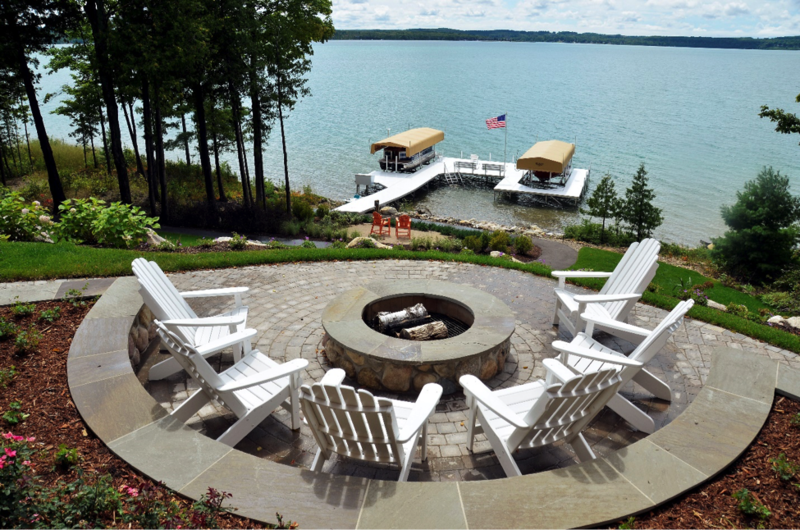 “Get outside” is these client’s mantra. Outside to savor their morning cappuccino. Outside to read the latest Dan Brown novel or issue of Forbes. Outside to move, play, exercise, cook, eat, sip and, especially, socialize. 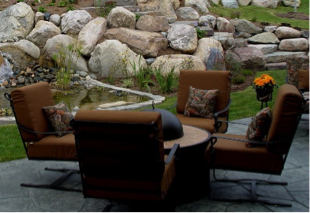 And, just as the kitchen earns top spot for heart of the home, the firepit is the epicenter for this open-air bunch. Before the invention of clothing, agriculture, and even the wheel, our ancestors were playing with fire. They invented campfire before they invented anything else (perhaps with the exception of stone tools). It has also been revealed that making fire was one of the very first activities to get us working together. It is deeply rooted in our genetic make-up and our soul…just as logs and timbers are (think treehouses). Simplicity rules here. Design. Function. Execution. When making this deluxe campfire treat, look for square marshmallows; they fit the graham crackers better and give chocolate a wider surface to melt on. Build a hot fire in the firepit. Thread marshmallows onto 2 wooden or metal skewers, 2 marshmallows per skewer; hold skewers over grill 4″ above heat. Grill, turning as needed, until marshmallows are puffed and charred in spots, 4-6 minutes. Place 1 marshmallow on top of 1 graham cracker and top with half a Hershey bar. 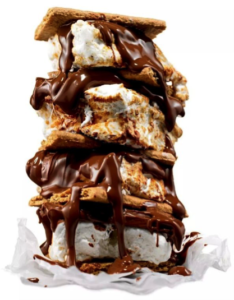 Continue layering crackers, marshmallows, and chocolate until you have made a tower; if chocolate isn’t melted, wrap s’more in aluminum foil and grill 1-2 minutes until gooey. Serve, immediately, with a Sonoma Old Vines Zinfandel (adults) or a home-made mint/chocolate-chip milkshake (kids).